Donald Trump has produced what sounds like a 2020 campaign slogan, referring to the “collusion delusion” as he continues his touchdown dance after Robert Mueller concluded his investigation into The Russia Thing. It’s a knee-slapper! Don’t you think? Well, me neither. The president is reciting it and getting lots of laughs, cheers, whoops and hollers from the adoring crowds. It is good to put a couple of issues into perspective. 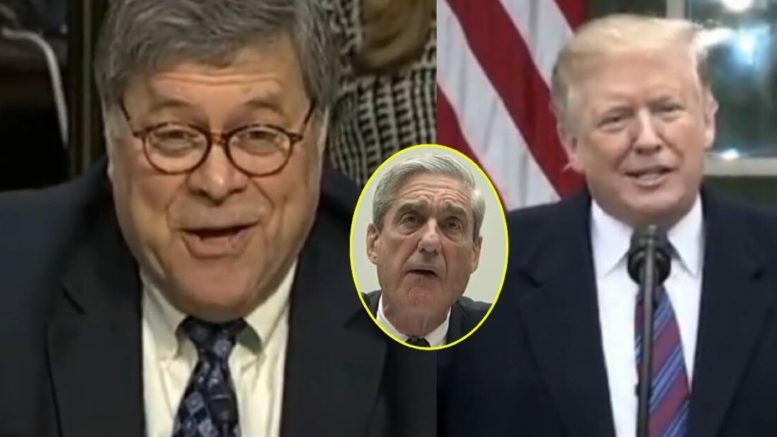 First of all, special counsel Mueller did not say that there was “no collusion.” He said, according to Attorney General William Barr, that he found insufficient evidence to produce a complaint of collusion with the Russians against the president and his 2016 campaign team. We haven’t yet seen Mueller’s report. William Barr today said he intends to release the report, with redactions, in a couple of weeks. We don’t yet know what precisely Barr is going to black out from public view. He has talked openly about grand jury testimony, issues related to national security and statements that mention individuals who aren’t formally charged with wrongdoing. My sincere and fervent hope is that the AG releases as much as of the report as possible. He has pledged transparency. I want to believe him. Absent any knowledge of what Mueller has concluded, it is impossible — even for the president — to say categorically that he has been “exonerated” at any level regarding any allegation that has been leveled against him. Trump is incapable of being magnanimous in victory. He vows revenge against those who he says have done him wrong. That includes damn near everyone who didn’t vote for him, or so it sounds to me. He continues to label the Mueller probe as a “witch hunt” that failed. He continues to refer to the media as the “enemy of the people.” Trump hurls despicable personal insults at congressional Democrats; House Intelligence Committee Chairman Adam Schiff has become his latest target. One more point: We haven’t seen anything yet about obstruction of justice. Barr said that Mueller did not “exonerate” the president, even though he did not find sufficient evidence to conclude that he did obstruct justice. Once again, we need to see precisely what evidence Mueller collected and we need to be able to assess how he reached his conclusion. Yet the president of the United States, as he is prone to do, is getting way out in front of this still-developing story. Hey, he still has his campaign slogan that he thinks will serve him well. “Collusion delusion” it is. My sense is that Donald Trump is wallowing in his own delusion as well. Robert Mueller is finishing up his exhaustive investigation into all things relating to Donald Trump’s 2016 presidential campaign. We don’t yet know what the special counsel has determined. However, the president’s reaction in advance of the report’s conclusion might be offering some clues. 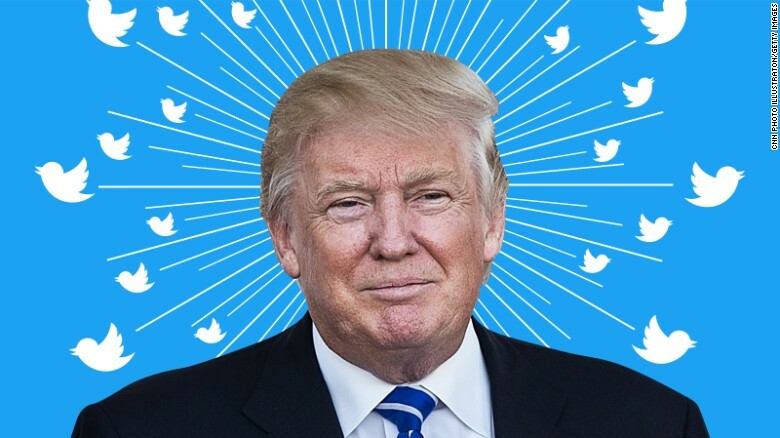 Trump set some sort of unofficial personal record this weekend with a Twitter torrent that laid waste to a number of targets: Mueller, of course; the late John McCain; the “fake news” media; Democrats, naturally. I just don’t know how this is the conduct of someone who is confident that the special counsel is going to exonerate him. We are witnessing a possible unraveling of an individual who well might be petrified at the prospect that the special counsel is about to deliver the goods on him. The trashing of the late Arizona Republican senator, McCain, is especially troubling. Hey, I have written about this extensively already. I just cannot get past the notion that the president of the United States would feel so threatened by the memory of a man he now says he never has liked. And why in the world would he disparage, denigrate and dismiss someone who served with valor and, yes, heroism in defense of his country? Why now, seven months after McCain died of brain cancer? 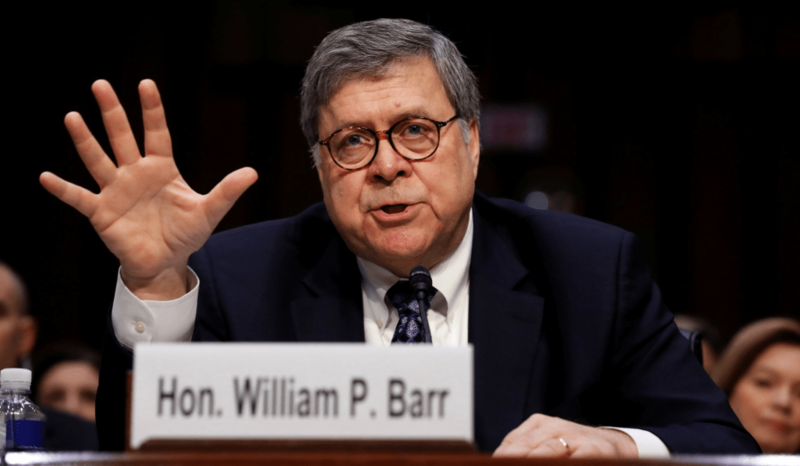 The specter of the pending Mueller report being sent to Attorney General William Barr looms large in all of this. Donald Trump likely doesn’t know what Mueller has concluded. He is reacting seemingly on some sort of concern that Mueller is going to inflict potentially mortal wounds on the president, his closest aides, even his family. This is all quite nerve-wracking. I’m just a chump blogger. I also am someone who was shocked beyond measure that Trump got elected president of the United States. Still, my nerves are beginning to get the better of me as I await the findings of the special counsel. Therefore I only can imagine what is occurring within the president’s nervous system. 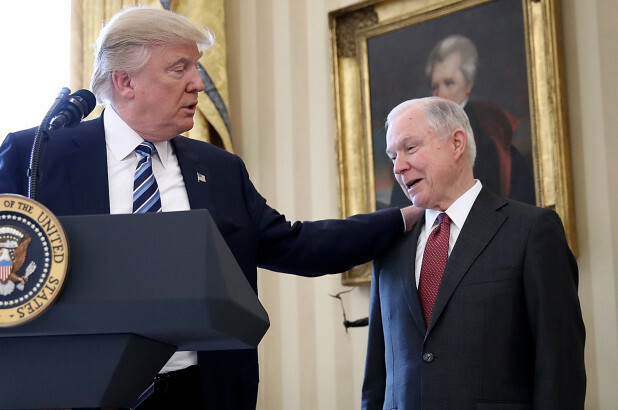 Donald J. Trump continues to concoct reasons for why he believes Attorney General Jeff Sessions was a bad choice from the beginning. What absolute crap! The reason the president is miffed at the AG can be summed up in a single word: recusal. Sessions recognized what Trump didn’t see coming: The AG’s role in Trump’s presidential campaign precluded him from being able to investigate matters involving the Russian government’s effort to influence the 2016 election outcome. He did what Justice Department policy and rules require: he recused himself from all things dealing with Russia. And the president didn’t see that coming? He didn’t anticipate any kind of conflict of interest? Go ahead, Mr. President. Fire the attorney general. Understand, though, that the AG — whether it’s Sessions or someone else — doesn’t work for the president. He works for the rest of us out here. He works also for those of us who didn’t support Trump’s effort to become president. The attorney general shouldn’t do the president’s bidding because of some effort to protect the president’s political future. If you’re looking for a “sad” circumstance regarding Donald Trump and Jeff Sessions, it is because the AG did something correct and proper and that action — all by itself — has aroused Donald Trump’s rage. Donald J. Trump says Attorney General Jeff Sessions’s job is safe … for now. He said the AG will remain on the job “at least” until the midterm election. After that? Hmm. No guarantee. All bets are off. 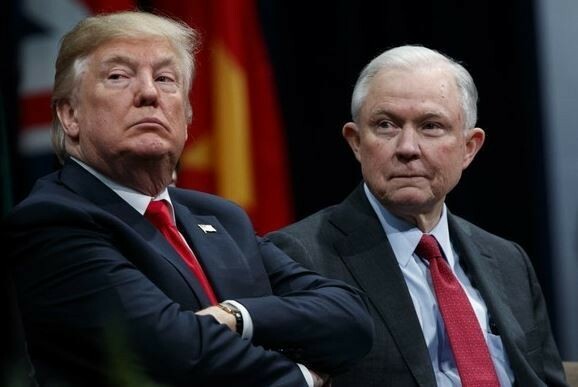 The president told Bloomberg News that Sessions should have told him he would recuse himself from the “Russia thing” before he was nominated to be the nation’s top law enforcement officer. Trump then disparaged yet again the professionals who work in the trenches in the FBI and Justice Department. He said he wants Sessions to do a good job. He doesn’t seem to expect Sessions to deliver the kind of work Trump expects. And what does he expect? Fealty. Blind loyalty. No adherence to the rule of law. No sense of duty to the country over loyalty to the president. Don’t misunderstand me on this point: I am no fan of the attorney general. He was denied a federal judgeship by the Senate in the late 1980s over some racially insensitive remarks attributed to him. He then joined the Senate and had a mediocre legislative career before Trump nominated him to run the Justice Department. Just maybe the then-brand-new president could have foreseen trouble down he pike by declining to nominate Sessions as AG in the first place. Oh, no. He decided instead to blame the AG for prolonging an investigation into alleged hanky panky between his campaign and a hostile foreign power. How did he do that? By doing the right thing and recusing himself! Jeff Sessions’s time as head of the DOJ is diminishing … rapidly. Donald John Trump is trying to execute an impossible stunt. He is seeking to turn Attorney General Jeff Sessions into a sympathetic character in the drama that’s unfolding in Washington, D.C.
Trump wants Sessions to be quicker to defend him against critics who suggest there’s something to the “Russia thing” that special counsel is investigating. Now he says Sessions is MIA and a scaredy-cat to boot? Let’s review for a brief moment. Sessions had to recuse himself from the Russia collusion probe because of his ties to the Trump presidential campaign. That meant that the AG couldn’t investigate himself. So, he recused himself — as he should have done. It was the proper course to take. Then he squandered much of that good will be revealing that hideous immigration policy that takes children away from their illegal immigrant parents. Now the president has decided to hang the AG out to dry for at least the third or fourth time by declaring he is scared to act. Good grief, Mr. President. Shut … up! An ‘order’ or an ‘opinion’? Let’s take another brief look at that tweet from Donald John Trump that’s gotten everyone’s attention. He wrote: This is a terrible situation and Attorney General Jeff Sessions should stop this Rigged Witch Hunt right now, before it continues to stain our country any further. 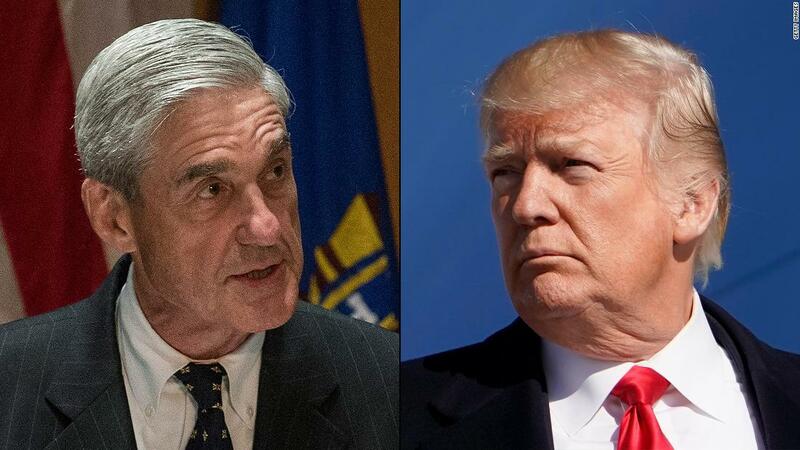 Bob Mueller is totally conflicted, and his 17 Angry Democrats that are doing his dirty work are a disgrace to USA! I want to dissect a section of the Twitter message. Did the president issue an order to the attorney general or was he merely stating an opinion? I keep reading it and I keep coming up with the former. It looks like an order to my eyes. It would sound like an order were he to say it to me directly. The Hill reported: (Former Watergate special prosecutor Jill) Wine-Banks argued that Trump’s tweet on Wednesday calling for Sessions to immediately end the probe into Russian interference in the 2016 presidential election was sent with the intention that Sessions obey it and that Trump has “undermined” the probe from the beginning. The so-called explanation offered by White House press secretary Sarah Huckabee Sanders just doesn’t add up. She said Trump merely was offering his “opinion” about the nature of Mueller’s investigation into Russian interference in our electoral system. Thus, the president might have committed a bald-faced act of conspiring to commit obstruction of justice with that message to the AG. Did he issue an order to Sessions to end an investigation into what he — the president — might have done? I don’t know about you, but when I hear the word “should” attached to a sentence that deals with whether to do something, then I take that word as a directive and not a mere suggestion. Donald J. Trump has escalated his rhetorical war against special counsel Robert Mueller with a tweet that drags the U.S. attorney general squarely into the fray. 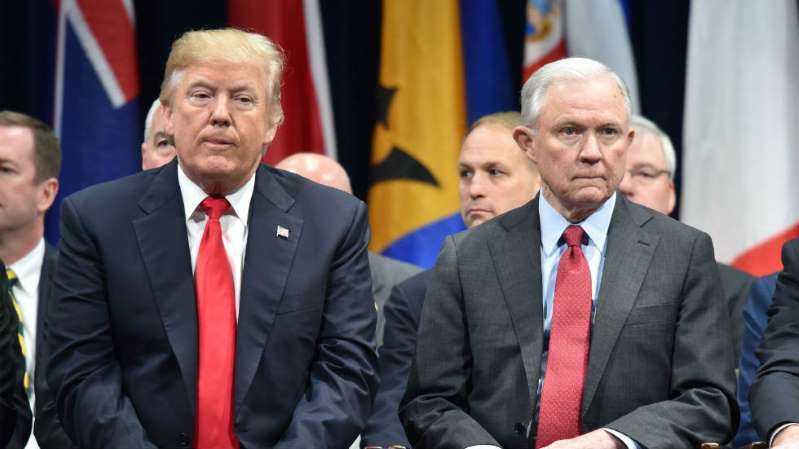 Trump said that AG Jeff Sessions “should” end Mueller’s probe into Russian hacking in our election system and whether the Trump campaign colluded with Russians who attacked our democratic process during the 2016 election. Pro-Trump forces say the president’s use of the word “should” is not a command, that he’s merely suggesting that the AG do it; plus, they say that the president has a First Amendment right to speak his mind. Yeah. Sure thing. Except that he’s the president of the United States of America. I worked for a number of editors and publishers during my career in journalism. Whenever any of them wanted me to write something or to report on something or someone, they almost invariably would say that I “should write an editorial” about this or that, or that I “should” turn in a story that reports an event occurring in our community. I was a loyal soldier during my years in the reporting/editorializing business, so I did what I was told … most of the time. There was one instance when a publisher to whom I reported wanted me to write an editorial that at the time I thought was a ridiculous subject on which to comment. He likely said I “should” do so. I disagreed with him in the moment — and then ignored his directive. He never pressed the issue, but he well might have held my refusal to do his bidding against me. Whatever. A presidential directive that comes in the form of a Twitter message that says the AG “should” terminate an investigation involving the president of the United States comes mighty close to obstructing justice. AG joins the crazy chant? Are you kidding? To think I actually once said something positive about U.S. Attorney General Jeff Sessions. What in the world was I thinking? He recused himself from the Russia investigation because of his key role as a Donald Trump presidential campaign adviser. He handed it over to his deputy AG, Rod Rosenstein, who selected Robert Mueller as special counsel. I applauded the AG for demonstrating an awareness of conflict of interest. 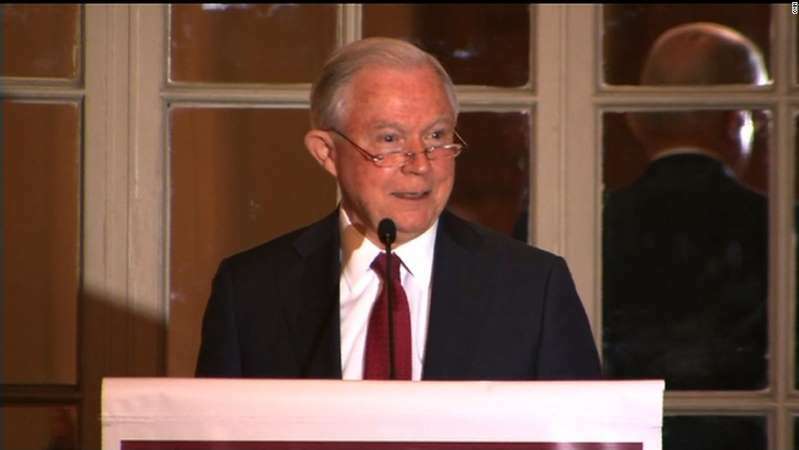 Then the attorney general does this: He stands before a group of teenagers and laughs at the “Lock her up!” chant that came from the audience. Oh, and then he repeats it along with them. Rule of law, Mr. Attorney General? Due process, sir? Executive decorum? What in the world is going on here? 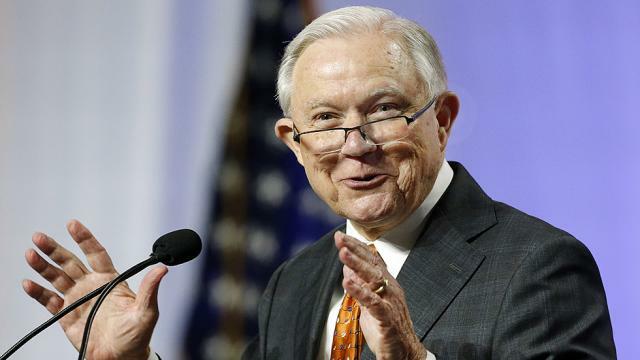 As CNN reported: “Lock her up,” Sessions said, chuckling at the brief interruption from the audience as the chant then grew louder. “I heard that a long time over the last campaign,” he said before continuing with his prepared speech. The chant became a part of the GOP mantra in 2016 as controversy swirled over former Secretary of State Hillary Clinton’s e-mail controversy. Clinton, of course, ran for president as the Democratic Party nominee. The “Lock her up!” chant became the theme of the Republican National Convention. For the attorney general to laugh it off now is both disgusting and disgraceful. Therefore, I hereby take back my positive comments about the attorney general.